15-member gang allegedly assault two persons near Moodbidri. 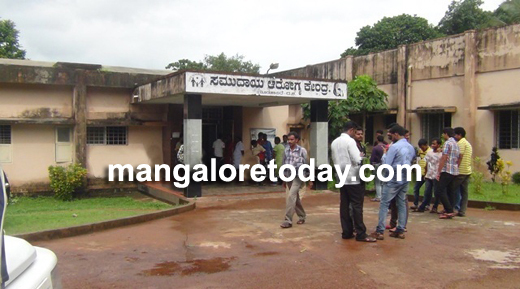 Moodbidri: July 11, 2015: A case has been registered against 15-member gang for alleged gang assault on Saturday near Moodbidri that left two persons hospitalized. The two persons who were assaulted are Sandeep (27) and Himakar. Sandeep is a handicapped and Himakar is employed as a Driver. It is learnt that Himakar and Sandeep were standing near Belaccharu and were hit by a speeding car as the driver of the car lost control. The clash arouse between the locals and car driver, who then phoned his friends to get saved from Public. The injured were then taken to hospital. A case has been registered against the accused the police are investigating the case.